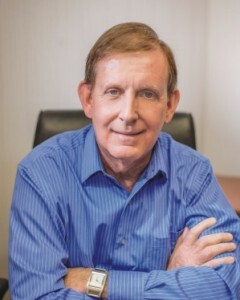 Barry studied Accounting at Northern Kentucky University, became a CPA and worked primarily in the accounting and finance areas in construction and real estate development companies, currently as a CFO. As he nears retirement, he is venturing toward a second career in writing and felt compelled to begin it with a novel about an amazing venture of his father’s who, in 1932 hopped a freight train and rode it to New Orleans to see the Mardi Gras. Barry’s devotion to the community has led him to serve on many boards over time including Habitat for Humanity, senior citizens groups, school and other capital raising campaigns and other not-for-profit organizations. He currently serves on the Boards of Directors of both the Northern Kentucky University Foundation and the Bank of Kentucky.